ADB Android helps you when you want to Install a Custom Rom, Root your device or change any default settings in Advanced mode on your device. In this post you will learn how to install ADB and Fastboot on Android because they work hand in hand. ADB is a tool that sends commands from your smartphone to your Windows Pc via USB. 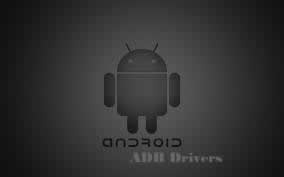 ADB which stands for Android Debug Bridge is a client and server which allows you to send a variety of commands from your Phone to your computer as far you have USB Debugging enabled on your device. In other words, you can call it a communication tool between smartphones and PC. Fastboot allows you to modify your Android firmware and the Android system file system from a computer when the phone is in bootloader mode. E.g Flash or install a boot image or bootloader. Fasboot option is not enabled on all android device, you will have to check if your device has it enabled. A driver allows an OS to recognize and interact with it, mostly in Windows Operating system. There are many device drivers on Pc, e.g are hard drives, mouse, game-pad, and so on. For Android devices, the system uses its own hard drive, the ADB mode and fastboot mode, which makes it 3 hard drives windows needs for the smartphone. adb devices: Overview of the connected device to the PC with ADB support. adb reboot bootloader: reboots device into the bootloader. adb push [directory on the computer / dateiname.endung] [Directory in the smartphone]: Moves file from one folder or destination to another. adb pull [Directory in the smartphone / dateiname.endung] [directory on the computer]: Save file from one devie to another without indicating location. And those are the ADB command commands you can send from your phone to your pc, and i guess that all you need to know about ADB and fastboot do well to share this post with friends, thank you.